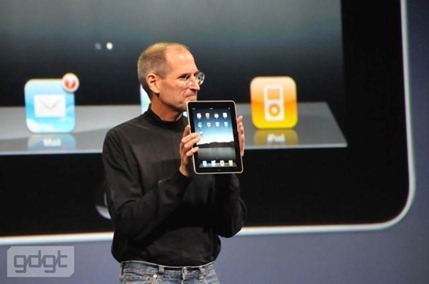 Four years ago today, April 3 2010, was launch day for the original iPad. Some said it was ‘just a giant iPod’ while Steve Jobs hailed it as a ‘magical and revolutionary device at an unbelievable price’. In these last four years the iPad has effectively created the tablet market, which has since seen tablets even outselling traditional PCs. On April 3, 2010 around this time of the morning I was Number 7 in the ‘Reserved’ line outside my local Apple store. I had a great experience that morning and came home early in the day with a shiny new iPad that was very soon to become my most used device. Levy says the brilliance of the iPad is that it makes the computer disappear. Want to read a book? The iPad becomes a book. Want to read a newspaper? The iPad becomes a newspaper. And it’s been making the computer disappear, in more ways than one, ever since.